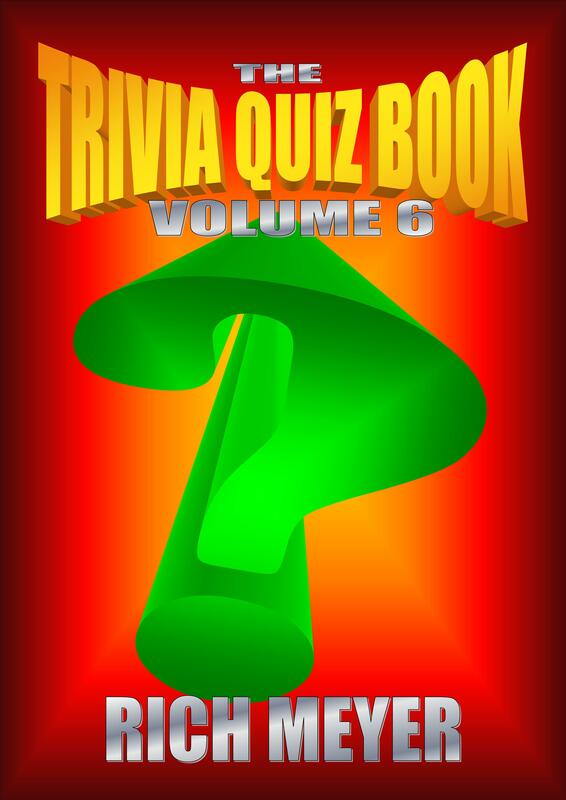 If you’d like to know more, click the cover image and the internet faeries will take you to the Amazon page for the book. The award-winning and best-selling multi-national staff of Indies Unlimited brings you the ultimate guide for slapping social media into submission. Whether you are an author wanting to expand your book’s market or an entrepreneur selling candy-coated knitting baskets, you will benefit from an enhanced social media presence. 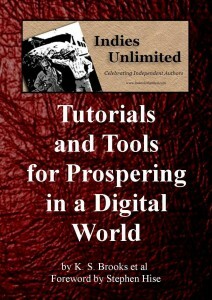 In Tutorials and Tools for Prospering in a Digital World Volume I you’ll find 62 step-by-step tutorials and tips/tools for everything from establishing a presence on multiple social media platforms to tools for optimizing your web presence to bonus tips tailored specifically for authors. Thirteen months of writing prompts – from the creative minds at Indies Unlimited. 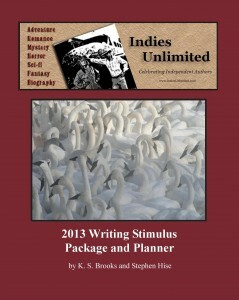 This 2013 personal planner is loaded with writing holidays, events and inspirations. 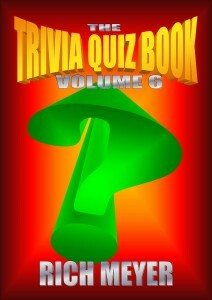 Get yours today or you?re a total loser. If you use these writing prompts each month, at the end of the year you’ll have thirteen short stories you can publish in your own eBook. Make sure to enter the weekly flash fiction competition online each Saturday morning. In Volume One of the Authors’ Snarkopaedia, sentences have been painstakingly crafted together using nouns, verbs and other words, bringing you paragraphs of text. These paragraphs flow into pages of expert tips, advice and insight for authors at all levels of the publication food chain. Any book can claim to offer this type of information, but they can’t give you what sets the Indies Unlimited Authors’ Snarkopaedia above the rest: the “je ne sais squat” of the highly decorated staff of the Snarkology Department at the Indies Unlimited Online Academy. Their groundbreaking and empirical research over the years sheds new and snarkified light on subjects ranging from book publishing and marketing to the nuts and bolts of writing and technology. 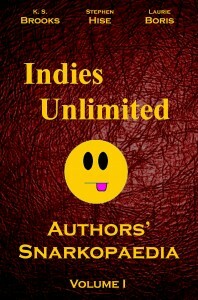 If you like information to grab you by the throat and smack you in the face, the Indies Unlimited Authors’ Snarkopaedia is the reference book for you. Almost Ice Road Truckers, except for the tulip bulbs… “So here’s the plan. I’m going to train to drive a truck and go long-haul. I can get paid and maybe write a book at the same time. 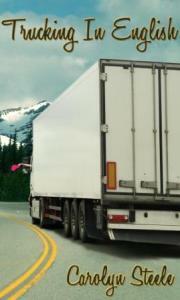 What do you reckon?” “Go for it Mum, how bad can it be?” This is the tale of what happens when a middle-aged mum from England decides to actually drive 18-wheelers across North America instead of just dreaming about it. From early training (when it becomes apparent that negotiating 18 wheels and 13 gears involves slightly more than just learning how to climb in) this rookie overcomes self-doubt, infuriating companions and inconsiderate weather to become a real trucker. She learns how to hit a moose correctly and how to be hijacked. She is almost arrested in Baltimore Docks and survives a terrifying winter tour of The Rockies. Nothing goes well, but that’s why there’s a book. Trucking in English began as a blog from the cab and became a popular podcast before taking book form. 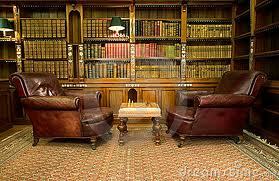 It is part of Carolyn’s ‘Armchair Emigration’ series. Desperate, Nicole has no choice but to haunt Dale and convince the freaked-out senior to help her. Will he find her body before it’s too late? Or will the guy who tried to kill her with his car beat him there and finish her off before anyone finds out? 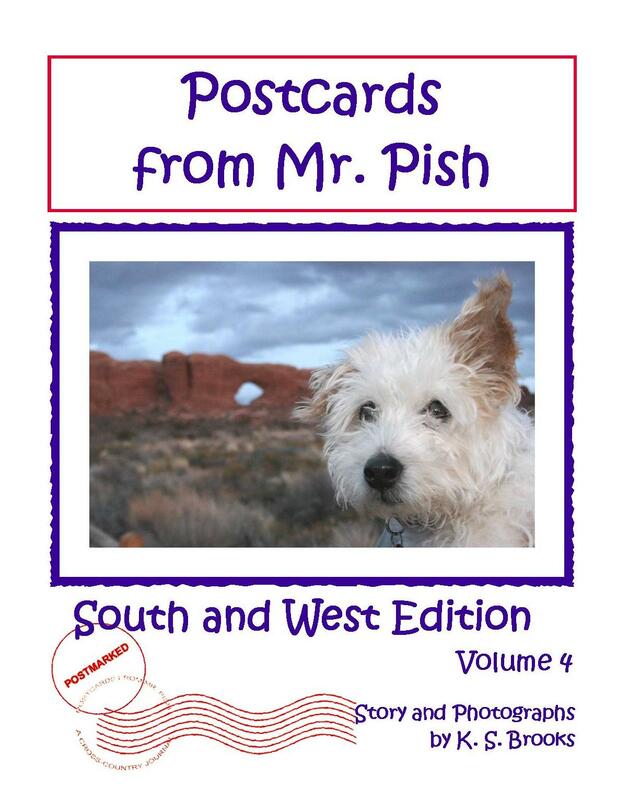 The adventurous Jack Russell Terrier, Mr. Pish, is back – this time to guide readers through portions of the southern and western United States in Postcards from Mr. Pish Volume 4. 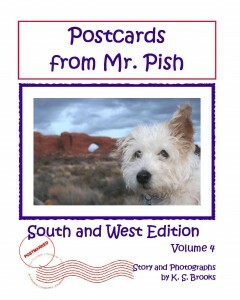 Each postcard Mr. Pish sends is filled with engaging text and full-color photographs designed to inspire both young and old to read, explore, and learn. As with all his books, history, geography, and more become inviting and fun – because of the charismatic traveling terrier! Thirteen years ago the Mainland was torn apart by war and contaminated by biological weapons. Ben’s parents–leaders of the Resistance–moved all their friends and comrades to the safety of an island. Then his dad went back, never to return. When news arrives that Ben’s dad might not be dead, Ben sets out on a journey through a mutant-infested industrial wasteland to find him. Naomi’s caught some kind of bug, and she hasn’t seen Joseph in weeks. But she lets Shannon drag her on vacation: a road trip to the Pine Ridge Indian Reservation to find Naomi’s father. There, they find more than they bargained for: a dream wolf, a mysterious walled compound that might or might not belong to Loki, and a lot of snow.